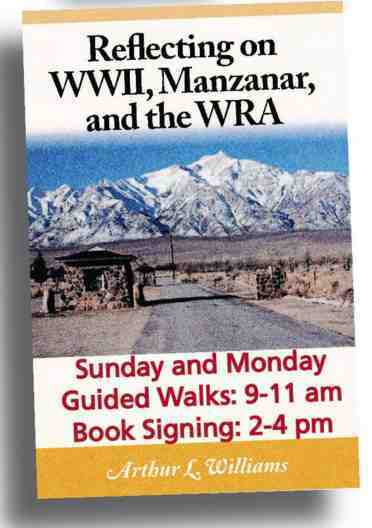 INDEPENDENCE — Art Williams, author of “Reflecting on WWII, Manzanar and the WRA,” will be a special guest at Manzanar National Historic Site on Sunday, May 28, and Monday, May 29, with guided walks from 9 to 11 a.m. and book-signings from 2 to 4 p.m.
Before the war, Williams’ grandparents owned a farm at Manzanar. During the war, his parents worked for the War Relocation Authority. He will share his memories of the Owens Valley in the 1940s and explain what it was like to live at Manzanar under very different circumstances than Japanese Americans. Hosted by the Manzanar History Association. Manzanar National Historic Site is located at 5001 Hwy. 395 in Independence. For more information, call (760) 878-2194 or visit www.nps.gov/manz.